By far the best best way to support SuperTopo is to share your own awesome climbing and life adventures. Your climbing-related posts are what keep people coming here, which creates traffic, which in turn allows us to fund the site with ads (see #3 below). Got an awesome Trip Report? Got some key Route Beta? Or just some great stories to share on The Forum that educate, inspire or humor? If you have field-tested outdoor gear, please review it on our sister site OutdoorGearLab. 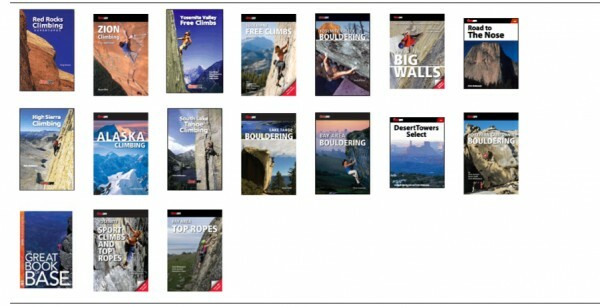 See some outdated info on one of our Climbing Area Pages? Click on the "Let us know" link at the bottom of every page so we can fix it. As many of you know, in July 2011, we moved the SuperTopo gear review section to it's own site, OutdoorGearLab. OutdoorGearLab seeks to provide the world's best reviews of outdoor gear, from climbing to camping. Take advantage of our reviews, and help us spread the word about our sister site by telling your friends about OutdoorGearLab. Just added a video to this article. Sorry for all the random arm waving in the video. Guess I was nervous. And man, i still use a lot of "uhhhs." Won't be getting a TV career anytime soon. Anyways. thanks in advance for the support! 1 + 2, do these when I can. 3, 4, 5 - will work on it. Best climbing site on the web, happy to do what I can to support it. A lot of priceless content here. Cheers for building, and keeping the site what it is. All the better speakers wave their arms a lot. Even non-Italians. Thanks Mighty, I'll keep those arms up! Thanks for the sweet site chris mac! Thanks for having a great site and a forum I enjoy. I will continue to support you as you suggested. Thanks for all the hard work keeping this resource going! "can't see the video good." not certain what Neebee is alluding to, but each time i have tried(couple yesterday and today)it stops at precisely the same spot("...the giant")and won't further procede! I have WiFi connection, so it could be related to that. Just thought i would letya know in case others are reporting similar probs. Thanks for all the hard work Chris. I got another TR in the chamber, just need to pull the trigger. Hey, all the video I shoot and make video TRs of are in vimeo. Any chance the forum will ever support video from vimeo? Its so much better/classier/creative than you tube. I would post more good video directly to the forum if that became an option. Thanks. We are getting a more than a few suggestions for Vimeo support so that is on the to do list. But its a big to do list. So not sure exactly when it will happen. Thanks all for the support! Chris, Thanks again for this wonderful site. I try to make my contributions valuable, or at least entertaining. And I finally bought some books the other day. I would not be offended if you offered more items for sale and ran more advertising. Holy mid-90s flashback DMT! I would probably have gone the rest of my life without thinking about that Picard brainwashing episode, but I be darned if it ain't stuffed in my head. Bump for the call to post good content. I've got some pictures stewing for some TRs. Its time to institute a user-controlled filter system though. Not subforums, just the ability to filter out off topic, or based on a key word, phrase or poster ID. All posts still go into the same bucket, so to speak, but each user could ladle out only that which they wish to see. While I don't know the code base for this bulletin board, such a user-controlled interface is like web service 101 in the business world. Its easy to do, though perhaps tedious. If you're going to open up the code to do other things, this filter system would encourage those who can't stand the 'noise' of the (us) regulars, might be encouraged to return to activity? Even if not, I would on some days only want to see the climbing stuff, other days, full feed. Now that I think about it you could just have the filter control built into the user interface, so the user would manually select the relevant filters on an as-needed basis. Let the cookies remember it from there. " Time to start clicking some ads. when is SuperTopo-Minnesota North Shore Select coming out?